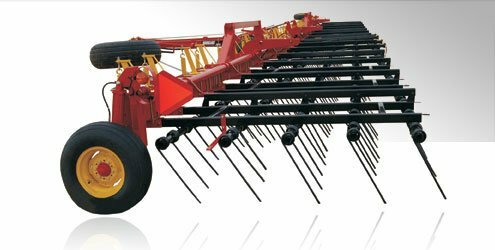 The 7200 Heavy Harrow is available from 48' to 84' (14.6m to 25.6m) working widths. Only the Model 7200 Heavy Harrow gives you total hydraulic control of all settings. The 7200 features 5 rows of 9/16” x 26” (14 x 660mm) straight tines on 20” (508mm) centers. Optional 5/8” x 26” (16 x 660mm) straight tines are also available. You can get more acres out of your harrow tines with the Bourgault 7200. Standard - 9/16" x 26" , Optional - 5/8" x 26"